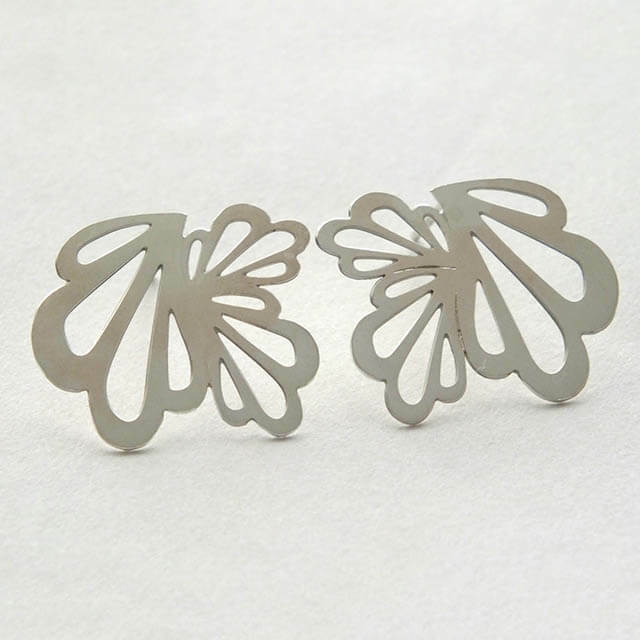 A trio of different sized wings interlocking to form a beautiful patterned earring. My work is often inspired by the relationship that we have with our surroundings. These earrings are inspired by my fascination with bees and my concern over the worldwide decline of the bee population.